1. Chikka Basavanna Temple: This temple is located about 2 km from the main village and is dedicated to Lord Basavanna (Nandi). 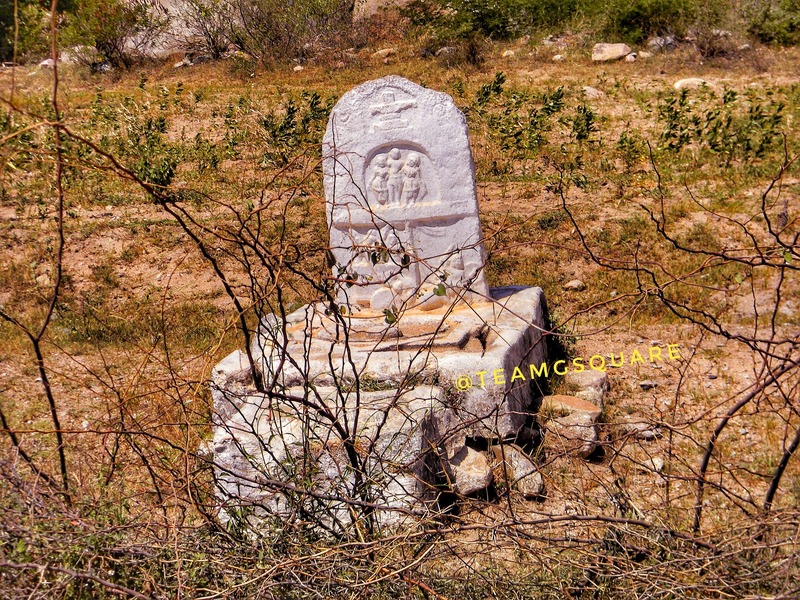 This murti of Basavanna is facing Lord Shiva, located on the hill of Kurugodu. This temple was built in 12th century, with only garbhagriha and a part of the Navaranga remaining today. This temple is located in a calm and serene location and we spent quite a good time here. 2. Sri Veerabhadra Cave Temple: Sri Veerabhadra cave temple is located in the interiors of the hills. We had to drive across a few quarry vehicle routes to reach these isolated caves. There are 2 caves here, one dedicated to Sri Veerabhadra with Sri Daksha Maharaja and the other to Lord Shiva. 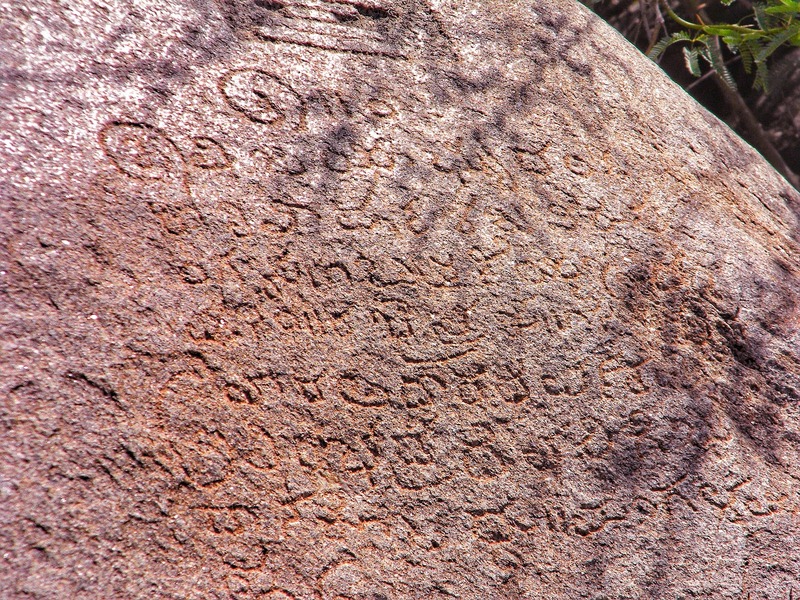 There is a Kannada inscription in front of these caves. 3. 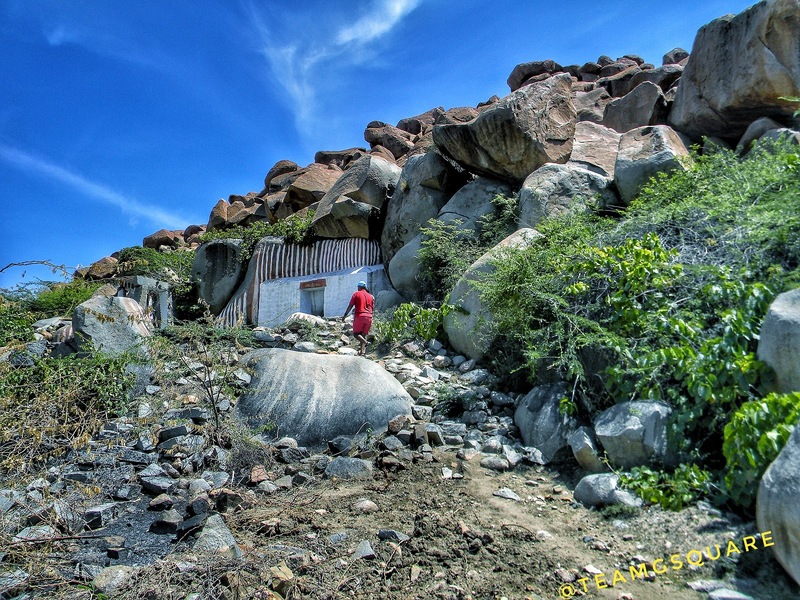 Jain Cave Temple: A small cave probably dedicated to Jain Tirthankaras and remains incomplete due to change of rule here. 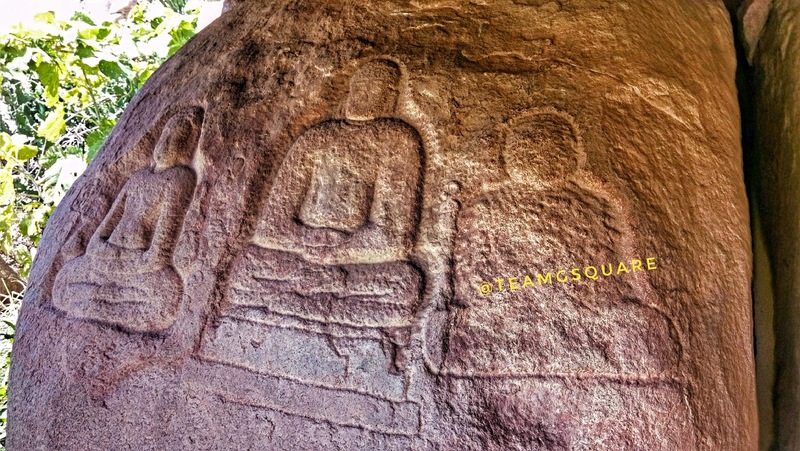 These carving date to 9th - 10th Century, before Kurugodu Sindhs taking over this place. 4. 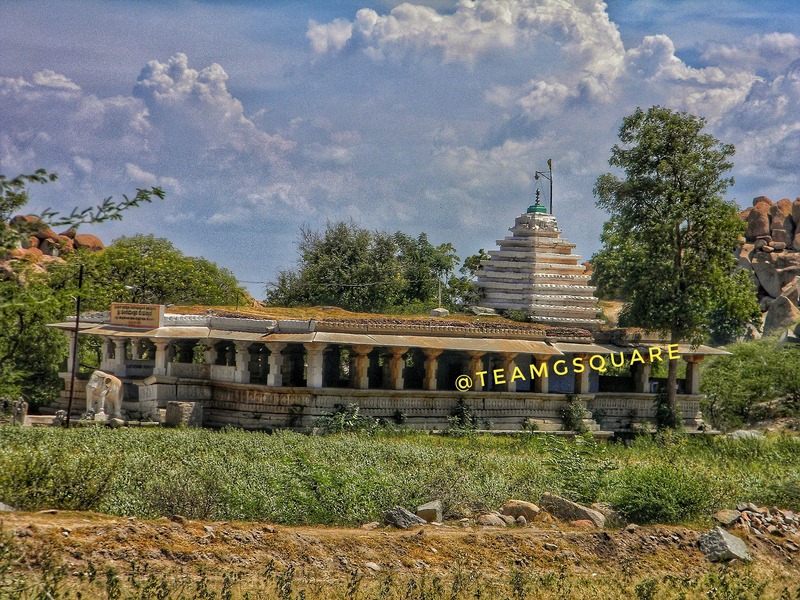 Sri Mallikarjuna Swamy Temple: Sri Mallikarjuna Swamy temple was built by Kurugodu Sindhs in the 12th century. It is now in a ruined state with all the vandalizing done by our generation. The temple consists of a garbhagriha, an antarala and an open sabhamandapa. 5. Sri Sangameshwara Temple: Sri Sangameshwara temple is the grandest of all the surviving temples here. 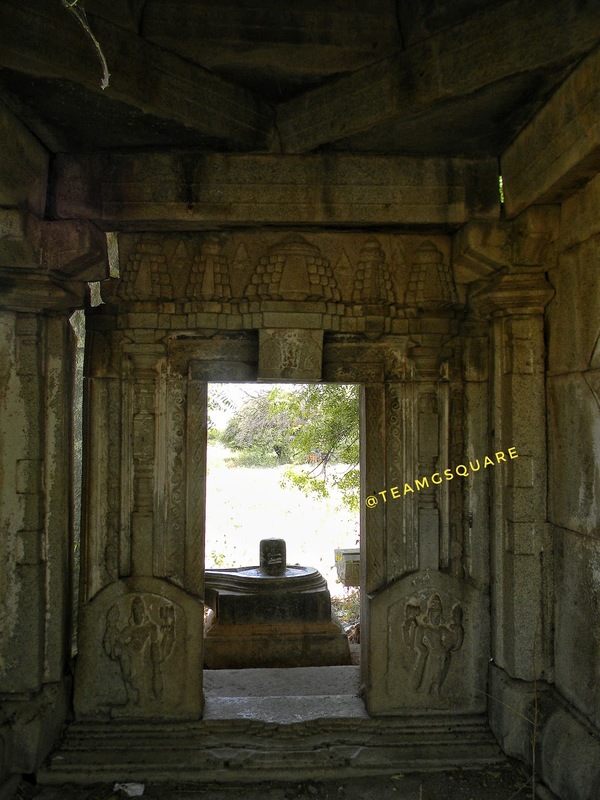 This huge temple was built in the 13th century, with later additions by the Vijayanagara kings in 16th century. This temple consists of garbhagriha, an antarala, a pradakshinapatha, an open 60 pillared mahamandapa and a mukhamandapa. The temple is dedicated to Lord Shiva in the form of a Linga. It was good to see that this temple was live and people were performing pujas and offering prayers here. 6. 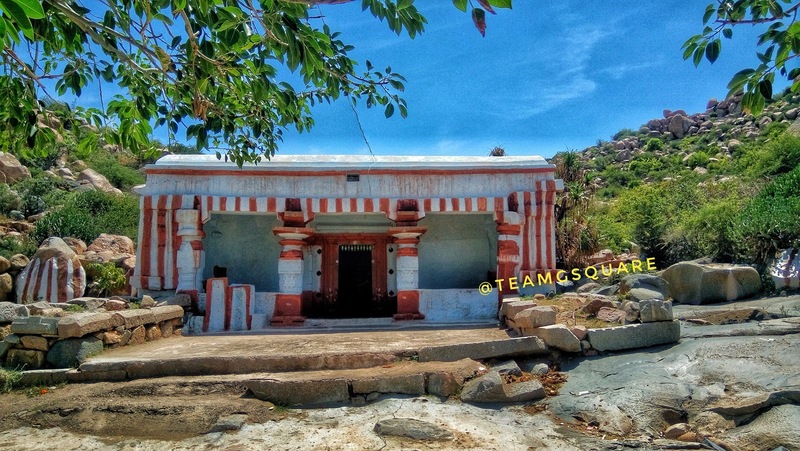 Srisaila Mallikarjuna Swamy Temple: Srisaila Mallikarjuna Swamy Temple was built in 12th century by the Kurugodu Sindhs. This temple consists of a garbhagriha, an antarala, a sabhamandapa and a mukhamandapa. There is a beautiful pillar in front of this temple. 7. 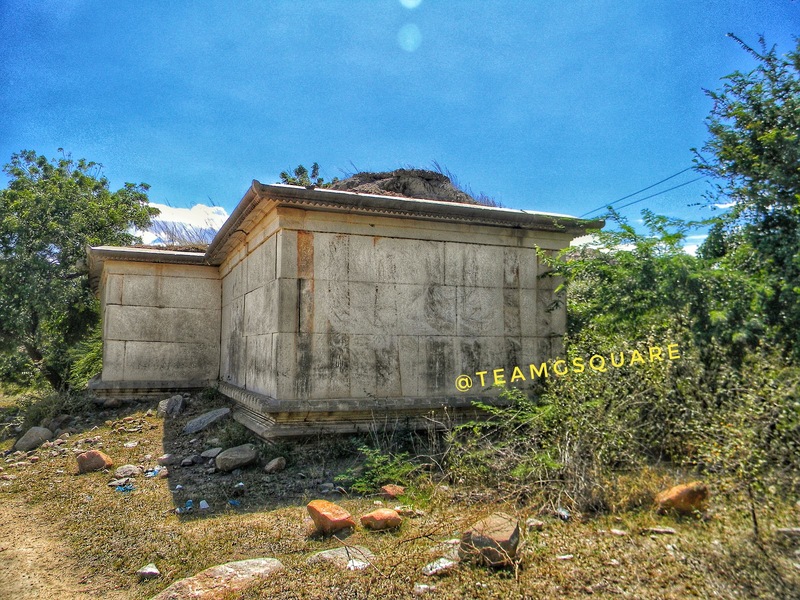 Sri Siddeshwara Temple: Sri Siddeshwara temple is close to Kurugodu town, probably hinting this to be the earliest village site. We found many pieces of pots and stone tools. 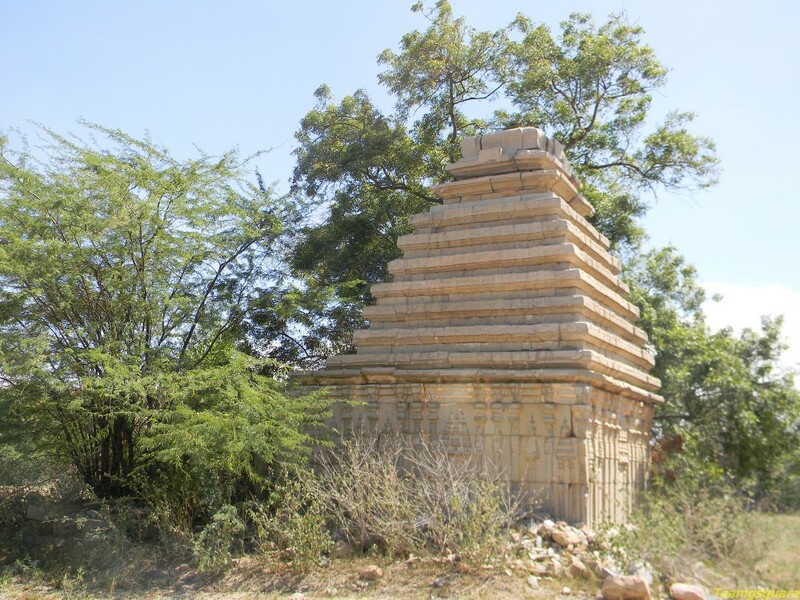 This was a Jaina temple, but later converted into a Shiva temple during the 12th century by Kurugodu Sindhs. The temple consists of a garbhagriha, an antarala, a sabhamandapa and a mukhamandapa. 8. 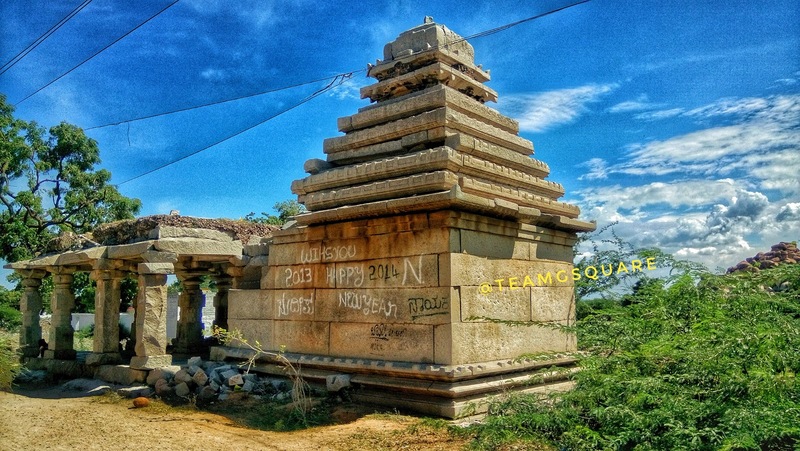 Sri Rachamalleshwara Temple: Sri Rachamalleshwara temple is a trikuta temple built in 1177 AD by the Kurugodu Sindhs. 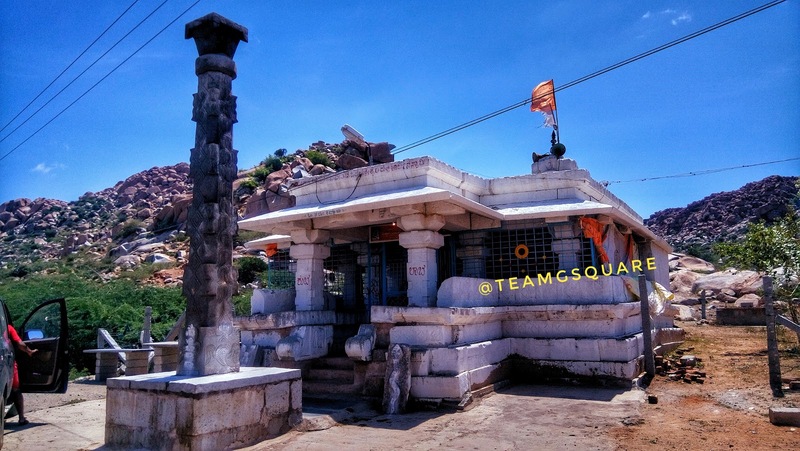 This temple is dedicated to Lord Shiva, housing Lingas in all its three garbhagrihas and are named Gavareshwara, Mallikarjuna and Muddeshwara. 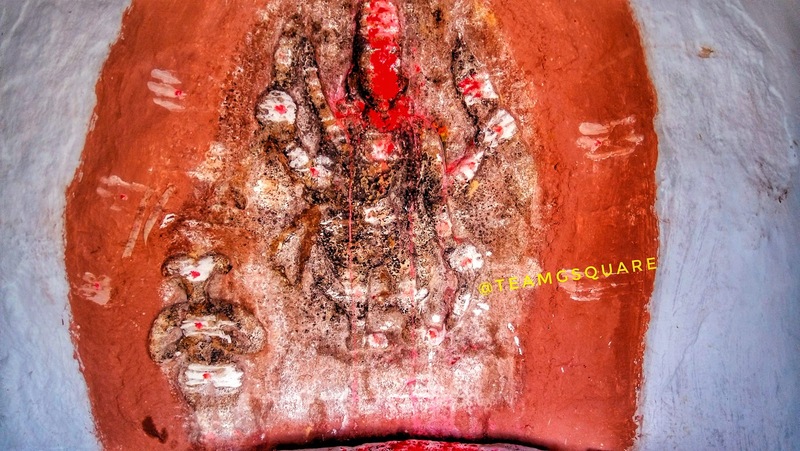 The temple was renamed as Rachamalleshwara due to the belief that the strongest of the Kurugodu Sindhs, Chief Rachamalla transformed into a Shiva Linga post his death, here in the temple. 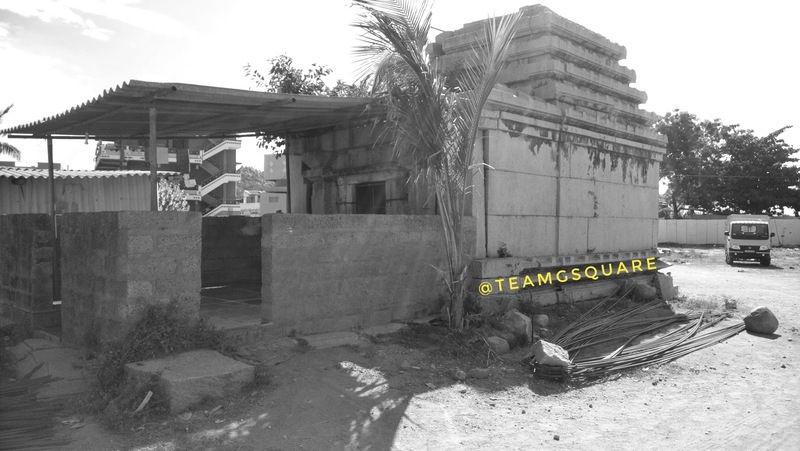 It is a pity that this temple today is in ruins. 9. 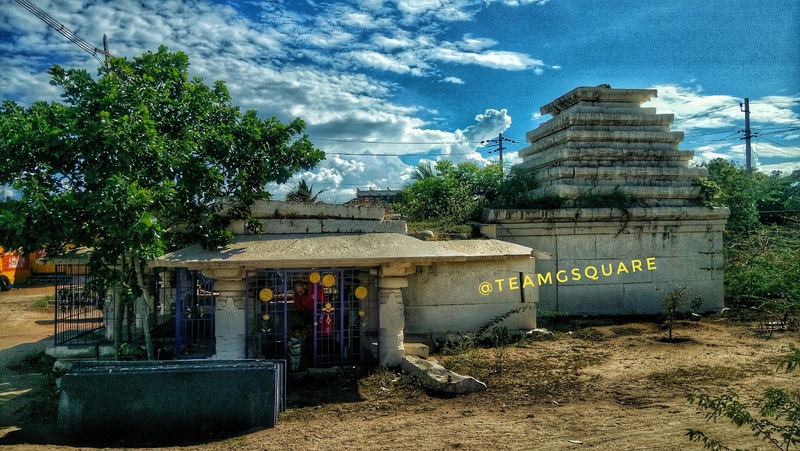 Murugudi Temple Complex: This temple complex comprises of 4 temples, all of which are dedicated to Lord Shiva in the form of a Linga. Two out of these temples are live with regular worships, while the other two are in ruins. The main temple here consists of a garbhagriha, an antarala, a sabhamandapa and a mukhamandapa. 10. 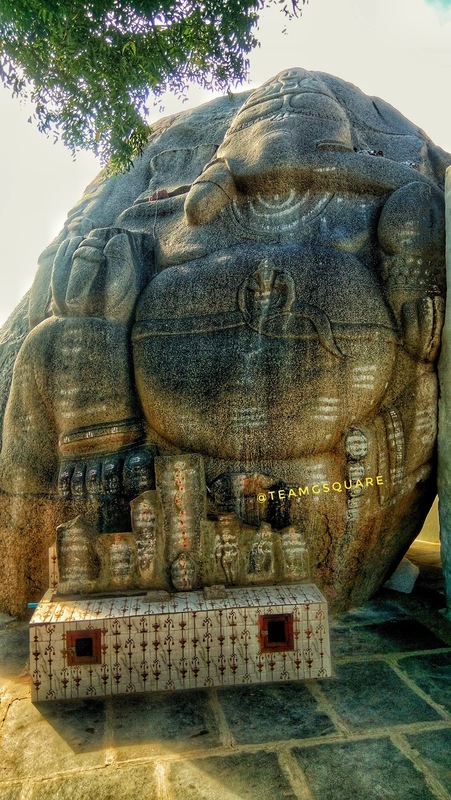 Dodda Ganeshana Bande: There are two stone carvings of Lord Ganesha here, one of which is 10 ft tall and the other is 20 ft. The carving of the 20 ft Dodda Ganesha was amazingly beautiful! 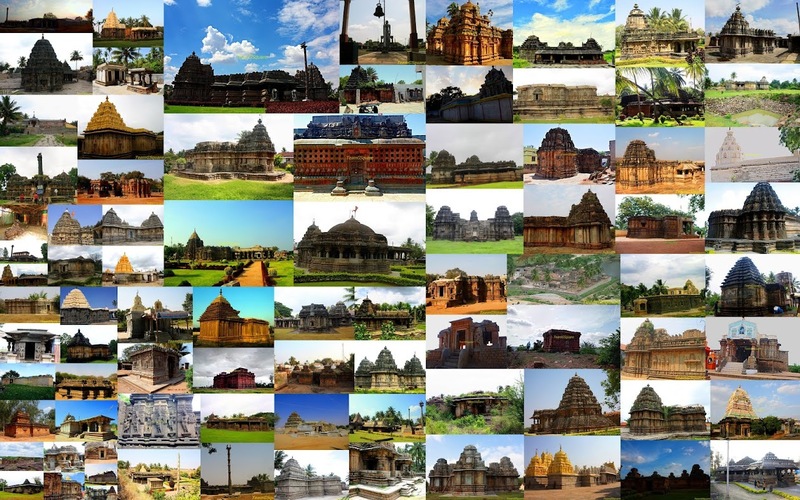 It is a nice post, especially interested in the history of ancient temples. Keep writing, enjoy. Wonderful.... Thanks a lot for the information.